This week’s Featured Item is a lovely memoir, The Journal of An Artist by David Palladini, the creator of the Aquarian Tarot and the New Palladini Tarot. 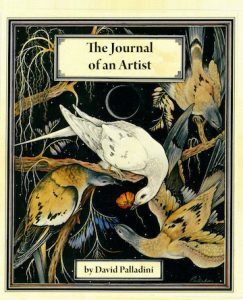 The Journal of an Artist is a bracingly honest look at a man who chose to honor his authentic path by devoting his life to art. Must one suffer to create art? Is an artist’s life only unacknowledged work and unrecognized sacrifice? David’s writings, and more importantly – his life and art – say no. Great beauty can come from joy just as easily, if not more so, than from pain and suffering. Regularly $29.99, it’s on sale for $24.99 through Sunday, March 25!